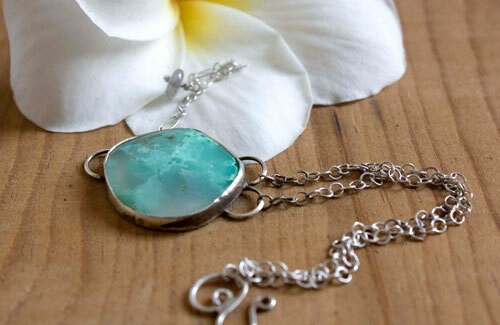 It is made of 925 fine silver made by hand in my workshop, and of a beautiful chrysoprase. 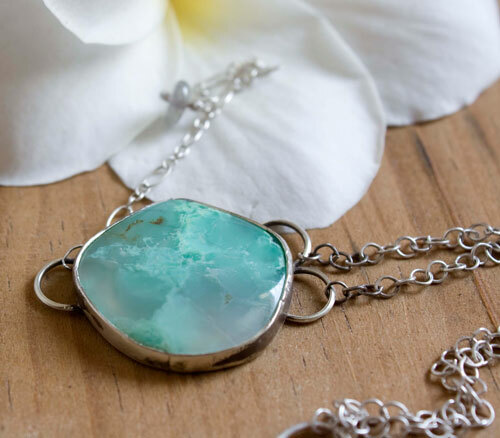 This chrysoprase cabochon shows tones that range from translucent blue, evoking for me the clear sea, reefs and coral from the Caribbean Sea. From the air, we can be observed the same color changes from the depth, the foam of the waves and the color of sand. This bracelet is a little piece of tropical paradise that you can take with you and help you to wait for a next enchanting travel. 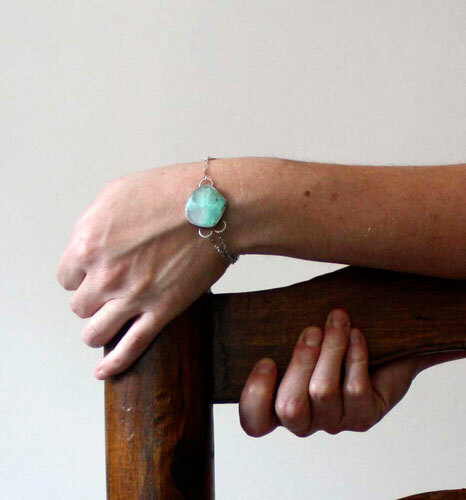 To take maximum advantage of this chrysoprase color, I pierced the back of the bracelet with a circular shape, for illuminating this semi-precious stone. This bracelet measures about 22 cm long. 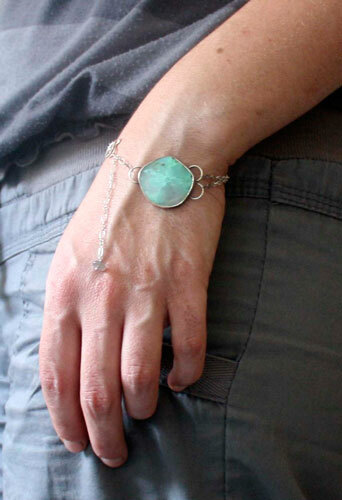 It can fit your wrist by putting the clasp in the right stitch. I made it long enough so that it can fit thin and larger wrists. 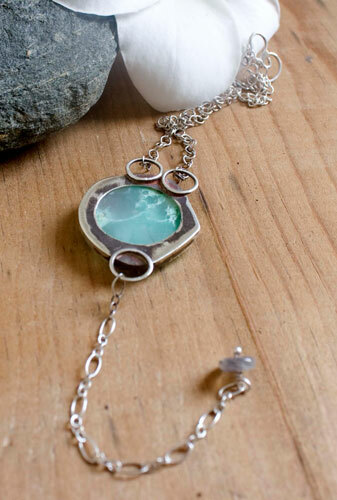 I slightly oxidized it in a natural way and then shined the details up. The antique effect gives a very nice touch to this bracelet. 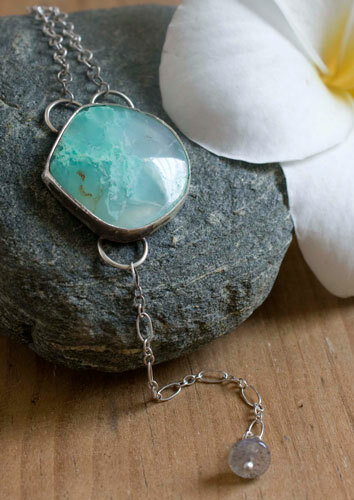 Tag: bracelet, sterling silver, stone, cabochon, mineral, sea, oxidized, embossed, handmade, vintage, old, dune, beach, jewelry, unique, landscape, chrysoprase, blue, transparent, tropical, island, reef, coral, caribbean, paradise, ocean, holiday, travel.